While there are many similarities between running a bricks-and-mortar casino and running an online casino, there are some important distinctions. I will detail those in this article, along with some of the major KPIs (Key Performance Indicators) you’ll need to track if you’re charged with managing the promotional/player development activities of an online customer base. And I’ll conclude with a case study of how a major European casino migrated its “whales” from its bricks-and-mortar operation to its online version. You’ll notice that I didn’t mention anything about online acquisition campaigns, paid vs. organic search, social media, mobile applications and all the other much-hyped activities. What I’m trying to provide you are the online gambling (or iGaming) industry’s best practices for maximizing your players’ lifetime value. I’ll give you tips and insights, gained through hands-on experience, that will help you properly manage your operation once it’s up and running on the web so you retain your players from the time they make their first online deposit. This is what we like to call iGaming CRM (Customer Relationship Management). One of the amazing aspects of online gaming is that every instance of your players’ behavior is recorded and can be easily accessed. You can review when they logged in and how much time they spent in each segment of the software (even in non-game areas such as the lobby or at the cashier’s window, for instance). You can get precise reports of all their financial transactions, including bonuses and loyalty points conversion. Most importantly, you can get instant review of all the games they played, what their wagering habits are and the biggie: How much profit they contributed in each game. We call it NGR (Net Gaming Revenue) and it can be calculated second-by-second, cent-by-cent. Offline establishment can hardly compete with this stream of information. Not only can’t brick-and-mortar operation gather information this wide and deep, they’re pretty much limited to tracking slots activity. Just imagine how well you can get to know your online audience, even though you’ll likely never meet them in person or have any idea what they look like. This information, of course, made it possible to segment your market with unheard-of refinement and precisely offer them targeted promotions. The downside of online operations is, of course, how easy it is for your players to abandon you in favor of your competition. Right now, your loyal customers have by definition invested a fair amount to do business with you. They’ve spent a lot of time traveling to your locale and it would likely take significant time to reach another casino. As long as they’re happy with your service, there’s little reason to see if some casino miles away is more appealing. Even if the other casino is just across the street, it’s still – well, across the street. There are no such obstacles on the web. At most, it costs your customer five minutes of registration, and typically they’ll be treated with a FREE bonus of $30 by your competitor so they can be hustled to the virtual gaming floor. Now that we’ve mentioned bonuses, here’s a key point about them: They’re so common online that you can’t possibly consider running an operation without using them. Why? Because if you don’t, you’re essentially giving your players an incentive to leave. They know that your competition hands out bonuses right and left. So you’re forced into the position of giving back to your players a sizeable portion of your revenue stream. It’s part of gambling, disgusting as it may seem to you. But all of us are here because the house always wins, so think in terms of adding more customers rather than trying to take too much from each one. As we’ll see below, the player margins are much thinner online than off. Usually, offline casinos of some size have not only a floor manager but a slots manager as well. No wonder – slots can represent up to 70 percent of their overall revenue. No such luck online. At a website, slots are used mainly to lure existing customers into extended activity. Sometimes, slots act as a USP (Unique Selling Point) when a casino owns the rights for a branded product (for example, slots that highlight a specific movie.). The ratio of slot revenue to the rest of the operations is the mirror image of offline proportions, accounting in most cases for no more than 20% – 40% of the profit pie. Is it that important? You bet! (Sorry.) If you consider the superior house advantage slots represent compared to other table games, you see that suddenly your operation is earning significantly less on a given amount of money wagered than in the bricks-and-mortar operation. And even when your customers do bother to play slots — mostly for the stunning graphics or the video clips of generous bonus rounds – your hold (return to player) is about 95%. At best, you can expect a 92% hold. Online play is spent mostly in either roulette (nearly all operators use the European version, with its pathetic 2.73% edge) or the untouchable king of the Internet, blackjack. (They mainly use a six-card deck with house rules imposing only a half percent advantage for using basic strategy). Ouch. Before you get to reviewing how well your system is operating, let me highlight a crucial pre-launch step, which is the importance of the “Point Value”: Moving from offline to a web-based casino is tricky enough. Offering a loyalty scheme that blends offline and online points makes it much more difficult to successfully manage. Online casino brands tend to treat points like easy money because players usually convert the points back into playing chips. Ultimately, the house advantage makes this a non-issue by ensuring that whatever the customers have in their pockets ends up in yours. But if you add to the loyalty plan offline perks such as rooms, meals, beverages and the like, you may end up giving back more than the actual nominal value of what you had planned to allocate for those expenditures. That can cause serious headaches in any budget meeting. So hear me out: Spend a considerable amount of time and gather significant resources to plan your rewards strategy. At the end of the day, this decision dictates your profitability margins. If you get it wrong initially, ditching one plan in favor of a new one may create a PR nightmare. NOTE: We have just completed a thorough analysis of the Player Clubs of nine US land-based casinos and found examples of what works and what to avoid. Please refer to our “Clubathon” series for further details. Every casino should treat this migration process differently, using solutions relevant to their own needs, and remembering their own clientele special features. But migration from offline to online can go well. An example of such a success is a project my company did with a publicly traded company that owns a German market-facing online casino. It’s a long story, and we entered the planning later on in the process, but here is the short version: Large roulette-playing “whales” from bricks and mortar casinos in Austria and Germany were offered a chance to play the online version, This happened just as the online gaming boom has peaked in Europe. The major problem the operator was facing when we were hired, was that nearly all the targeted players identified as high-rollers were in a senior age group (50 +). The operator saw an increasing churn ratio among those VIPs due to an inconsistent level of support, lack of basic CRM techniques and failure to designate an “owner” of the activity. To avoid high attrition levels during the process, there was clearly a need for a personalized assistance during this critical phase considering the age and value of each mega VIP they were attempting to migrate. The operator not only wanted these VIPs to migrate, they want to maintain their engagement and increase the LTV of their gameplay activities. 1. 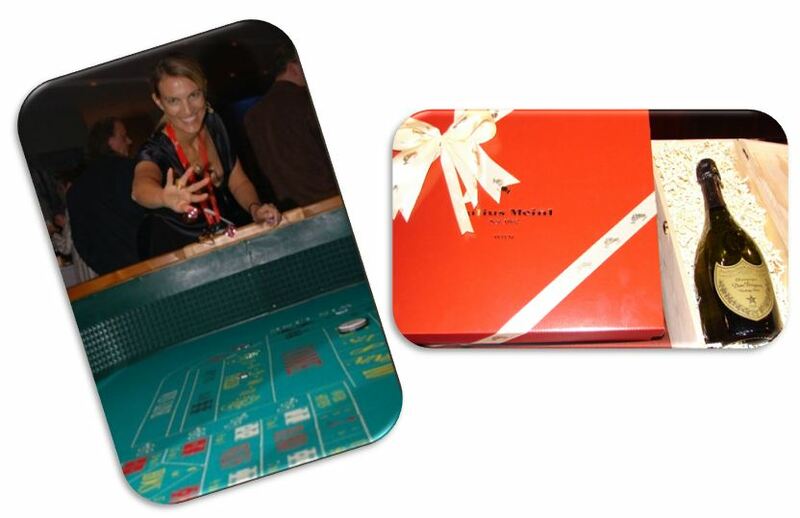 The operator regularly sent the players lifestyle magazines that were packed with roulette strategies. The idea was to help the players get accustomed to the “feel” of the casino rush in their homes. It also showed them that they could “practice” in the comfort of their homes before going in for the real action in their beloved casino venues. 2. A special team of native-German telemarketing representatives was trained to help with technical issues. Using cross-channel contact points among various tiers of players, different communications were directed toward VIP Hosts with relevant sets of skills. This ensured the players received the support level they had rightfully earned. In addition, an innovative set of BI (Business Intelligence) abilities was implemented to instantly analyze and constantly monitor the gaming activity, produce periodic and/or on-demand forecasts and function as a DSS (Decision Support System) for management. – Metrics defined as percentages of NGR. – VIP Hosts available 24/7, even through their personal cellular phones. 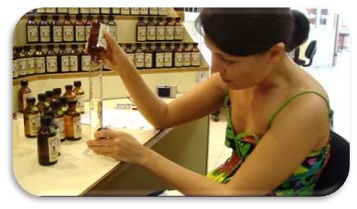 – Prizes tailored to the brand’s expressed qualities, using unique “money can’t buy this” items in exchange to loyalty points’ redemption; one of the notable the prizes was a trip to southern France, including a workshop in which players created their own perfume, based on customized scents they picked during their vacation. 4. Due to the homogeneous nature of the players (quite rare in the European facing online world), all of the VIPs were invited to a gala evening in Vienna. The players also were encouraged to mingle offline. To obtain an entry ticket, they had to meet a high level of gaming activity for two consecutive months. Each winner earned tickets for two, all expenses included. Upon arrival, each player was checked into the rooms by the VIP hostess they knew from the support team. After dinner, they were all invited to attend a special “play-money” casino established in the hotel lobby with their winnings credited as bonuses to their online accounts. The next day they each got special gifts, including Dom Pérignon, 24-karat gold-coated branded gaming cards and a unique assortment of treats from the world-renown Julius Meinl chocolatiere. The result: The players who attended increased their average NGR by 300% during the following two months. With intense retention efforts, personalized account management and the stimulating loyalty scheme, the vast majority of the targeted VIPs were still active long after the event.